We take very seriously the idea of being a Common Sense Media Supporter School. When San Domenico went 1:1 with iPads everyone agreed it would be important to embrace the technology and all that comes with it including games, distractions, and potential dangers. 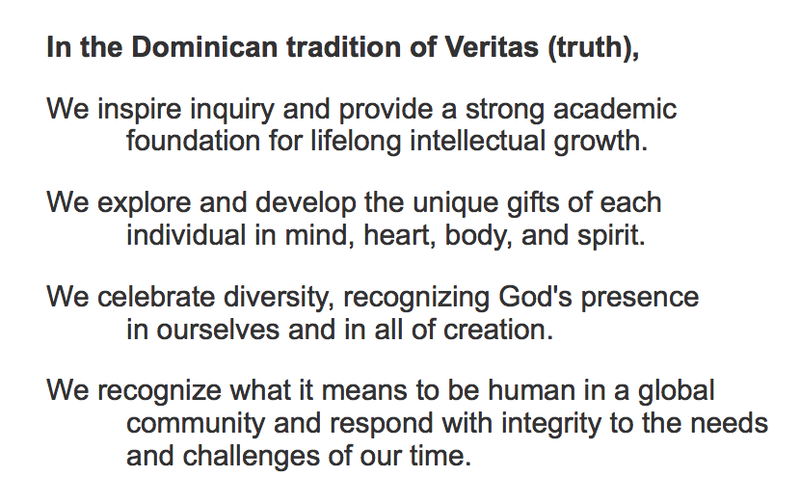 We knew that teaching our Dominican values would help our students recognize the complexity of this technologically advanced learning environment and to respond with integrity to any challenge they face. But it doesn't come easy. Digital citizenship lessons built by our own teachers over the past four years are the backbone of this program. We are very proud of our middle school teacher Wynn Richards who is a certified Common Sense Educator. Wynn is the architect for many of our digital citizenship lessons. But this hasn't happened in a vacuum. Many of our lessons were created from resources provided by Common Sense Media. In fact, this year we began using the Common Sense Media Digital Literacy and Citizenship Student Workbooks with our middle school students. Being 1:1 with iPads makes it very easy to have these resources right there in front of our students. These and many other resources are available free on their website as electronic books or .pdf documents for educators, students, and parents. And we don't stop there. Each year we provide opportunities for parents to learn along with us about how we use iPads in learning and how we provide the best possible tools for students to thrive in these conditions. It's not enough to just say "the best filter is the one between your ears." "YouTube personalities become popular because they speak directly to their fans, with no network oversight, no whitewashing of their language, and no fancy production. They say what they want. They're real. But given that these folks are making big bucks off their YouTube channels - and making a huge impression on kids -- it's important that parents get clued in to who they are." We look forward to partnering with our families to educate all our students to become good digital citizens. We appreciate having Common Sense Media tools at our disposal for this important aspect of our work. We hope you will take advantage of them as well.